Sure the ending was a bit different from the manga, but not entirely so. Given how the relationships were developed throughout the prior 12 episodes, I do feel that this is a fitting end to this series that gave a lot of laughter, deep questions about serious issues, and tears. I think this recap might be briefer than others, but then I always think that things won’t end up being as long as they usually end up being. But for whatever reason I will try to be brief. I think this is mainly because that while a lot happens, actually a lot doesn’t happen at the same time. Like always, don’t continue reading on if you don’t want the ending spoiled. Meanwhile, Xiao Fei wakes up listening to Night’s “mechanism.” If he were human, that would be his heartbeat. All of a sudden the entire room starts shaking and Xiao Fei freaks out and tries to wake up Night who then pops up in bed and stretches. He’s happy and refreshed. It seems like the shaking might have had something to do with him, but that isn’t ever explained as to just what happened there. Xiao Fei asks if he’s all right and Night replies that he has completely recovered from the worrisome state he was in the other day. To prove just how well he is, the two go out together on a date! They ride bikes and walk around a market. 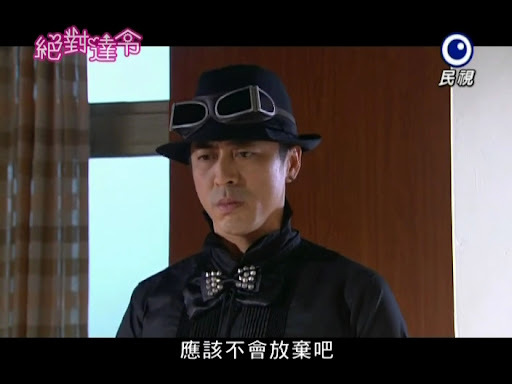 Xiao Fei sees a man selling rings and picks out couple rings that resemble the ring Night destroyed. While Xiao Fei is doing this, Night wonders off and ends up outside the church where Xiao Fei met the son of Kronos Heaven’s founder. Fate. I don’t think that fate existed in the manga, but I could be wrong. Xiao Fei then shows the rings to Night and explains their meaning. Night’s old ring always flashed red when she was happy, those rings had red stones. It’s a promise of being happy forever! Xiao Fei then proposes. Night, with a very serious and somewhat sad expression says that isn’t possible. Poor Xiao Fei is crestfallen. Night then says that it’s his duty as a boyfriend to propose. LMAO! Ah, Night, so sweet, and so antiquated. Night then gets down on one knee and asks Xiao Fei to marry him. She accepts, all flushed and embarrassed and a random crowd that appeared out of nowhere cheers for them. Lei Wu Wu goes to visit Zong Shi in the basement research room. Zong Shi is totally not listening at all to what WuWu is saying and is completely absorbed in his task of buying Night more time. Wu Wu then gets a call from Xiao Fei and he tells her the cost is clear and then she invites him over as she and Night have something they want to say. 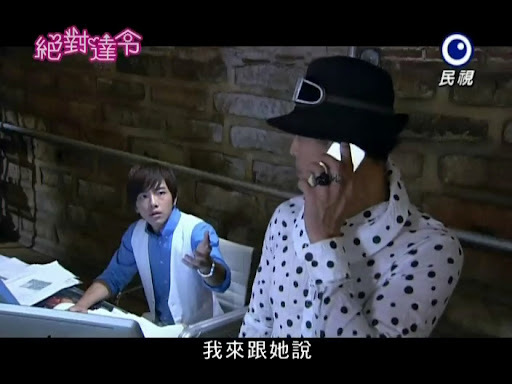 Zong Shi (who came out of his work once he heard her name) asks for the phone and wishes Xiao Fei a happy birthday. He then says he has something to talk to her about. Xiao Fei then invites him over as well. When Wu Wu and Zong Shi arrive, they are greeted by Sky, Zhi Xi and Zong Shi’s little brother. They all have a great time celebrating Xiao Fei’s birthday. She and Night announce their engagement, but are surprised by the lack of reaction. Zhi Xi and Sky aren’t surprised given their on again, off again status. But they still wish the best for the wishy washy couple. They even mention not being shocked if it turned out Xiao Fei was pregnant. Xiao Fei and Night insist that will never happen. Xiao Fei even comes right out and drops Ngiht’s secret, but no one believes her and the merriment continues. Zong Shi does find time to tell Xiao Fei her present will be late. Xiao Fei says she doesn’t need one, but he insists and we all know just what present he wishes to give her. After the party ends, Xiao Fei sleeps with Zhi Xi. Night comes and gives her a kiss before heading outside where he finds Zong Shi polishing off a bottle of alcohol. Why? Zong Shi is extremely unhappy. 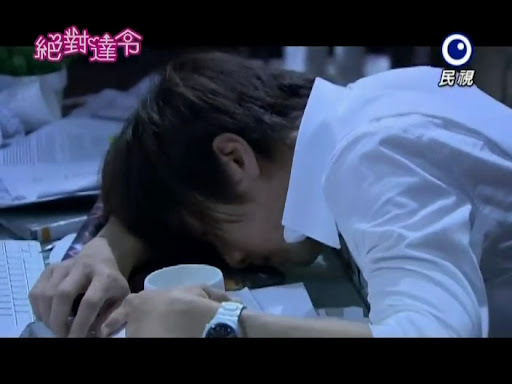 Even with Baoqi’s data, he still hasn’t found a way to save Night as Night’s breakdown process has already begun. There is a way to save Night and preserve his memories, but as it stands, they are not technologically developed enough to do such a thing yet. The projected date of such technology is 50 years into the future. This doesn’t make Night bat an eye. In spite of what he said earlier to Xiao Fei and even their marriage, it’s like he already knew there was no way to save him, but he’s content with that. Of course he isn’t happy leaving Xiao Fei alone so soon after they have finally admitted their feelings, but he is happy with what little time they get. Night then requests that Zong Shi keep the secret from Xiao Fei. And thus Night’s countdown begins (and strangely enough I am actually tearing up now when I didn’t while watching this live). While he and Xiao Fei are on the bus together he suddenly loses power. Xiao Fei is worried, but keeps her smiling face as Night quickly wakes up. Night lies and says he was only recharging. The two then head to the registry office where Xiao Fei wishes to officially register her marriage to Night. And through this whole scene I wanted to shake my head because Xiao Fei really WASN’T thinking. There’s no birth certificate, no ID, no seal – how exactly did she hope to officially register a marriage (at least without getting the proper false documentation)? Of course they can’t register and Night says they can never officially marry as he is not human and Xiao Fei doesn’t care and rips up the paper. She’s human to him (and the lump in my throat is getting bigger, what the heck). Night’s power outages are getting worse and worse. He blanked out at work and his boss and Zhi Xi had a heck of a time getting him to come around. The boss congratulates him on his marriage and worries about getting a place booked within 6 months. This startles Night. He doesn’t have six months. Xiao Fei then pops up and says there was a cancellation at the church so she has it booked for the day after tomorrow. The boss then hands over a card and tells Xiao Fei and Night to mention his name at the wedding shop and they will be able to rent the best wedding outfits. Renting wedding outfits makes more sense than buying as it is only something you’ll generally wear once in your life. 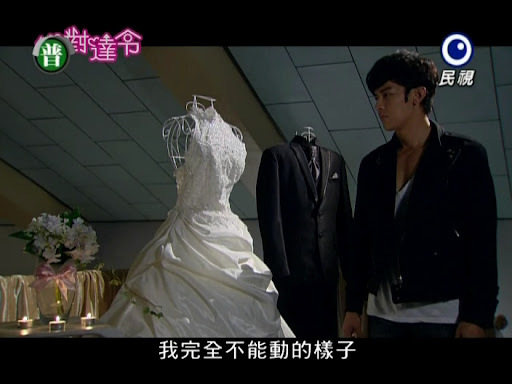 At the wedding shop, Night’s vision goes dark just before Xiao Fei steps out to show him her dress (which really suited her I must say – better than Jing Jing’s did in Love Forward. It was a pretty dress, but didn’t suit the actress – this one suited GHS well). Night lies and pretends he can see, but Xiao Fei knows he’s lying. She does her best to keep her smiling face. Let’s face it. If you haven’t guessed it, I think it’s pretty obvious she knows Night won’t be with her for much longer. Xiao Fei keeps her smile and agrees to use that dress and goes off just as Night’s vision comes back. He is very sorry that he didn’t get to actually see Xiao Fei in her dress. That evening Xiao Fei keeps trying to call Zong Shi, but he’s in uber work mode since Night’s life is ticking away and he won’t stop to even take Xiao Fei’s calls. Night has packed everything to go to the church the next day. Xiao Fei then makes a pass at him, but Night refuses. Why? Heavens smite those who are utterly happily. Night feels that his happiness is so great right now. It is a bit sad that Xiao Fei and Night never get to consummate their love, but at the same time, it suits them. So instead of a night of loving physically, the two love emotionally and hold each other. Well, that’s what I think they did after they had their pillow fight. The day of the wedding dawns and Wu Wu gives Zong Shi tea laced with sleeping pills since Zong Shi is killing himself to save Night. Meanwhile, Night wakes up in the kitchen with a ruined egg. He has no idea how he came to be there. Xiao Fei comes out and Night quickly hides his discomfort. But he knows now that is time is almost completely run out. So when he goes out with Xiao Fei, he wonders what he can do to make her happy at that exact moment. Xiao Fei wishes to see a movie in two weeks, but Night won’t be there then. She then wants to do a Valentine’s tradition as they never got to have a Valentine’s day together. She then wishes that she and Night will be at that same spot in 50 years. Need you any more proof that Xiao Fei knows already? The time span surprises Night, but he happily agrees remembering Zong Shi’s words about how the technology might exist in 50 years time to save him. He also makes Xiao Fei to promise to be happy no matter what happens and to not cry for more than an hour when she’s sad. This Valentine tradition is writing wishes on a lantern and sending it soaring into the sky. Zong Shi wakes up in his apartment and Wu Wu explains everything. How he knows about the only option for Night to be saved hasn’t been developed yet and won’t be until at least 50 years have passed and how Xiao Fei has known all along. We then get all these flashbacks where we finally get to see Xiao Fei’s perspective. She overheard Night and Zong Shi talking the night of her birthday and cried silent tears. She then vowed to never appear unhappy even if she notices the signs that Night’s life is fading. That Night Sky leaves to pick something up and sees Night sitting alone. Can’t sleep? Night says he can’t and Sky notices how bad Night looks. Is he okay? Night says he is and says that he is glad to have met Zhi Xi and Sky. Sky seconds this as well and talks about how fun things will be with for the of them from now on. Nigh doesn’t say anything about that and tells Sky goodbye to his back. 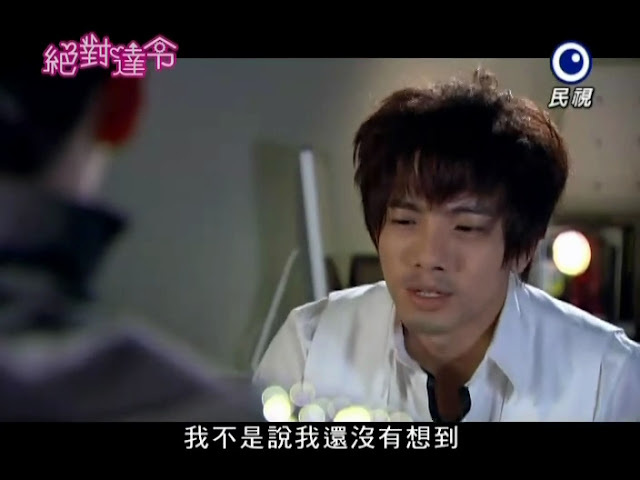 Night then starts his plans of sneaking out as he doesn’t want Xiao Fei to see him cease operation. He goes upstairs to wear their wedding clothes are laid out and apologizes for running away. Xiao Fei comes up and asks to do a rehearsal. So Night gets to see Xiao Fei in her wedding dress after all! Xiao Fei goes through the wedding ceremony and Night learns that Xiao Fei has known all along. As much as he’s sorry and doesn’t want to go, his time is up and there is nothing anybody can do about it. Such a touching, beautifully sad wedding scene. Night then stops and Xiao Fei can only cry. Bravo, GHS, bravo. The next morning (what happened to Sky and Zhi Xi?) Xiao Fei sits in church holding Night’s ring while Night has been clothed and stands in his box. Zong Shi and Wu Wu arrive to find Baoqi there. 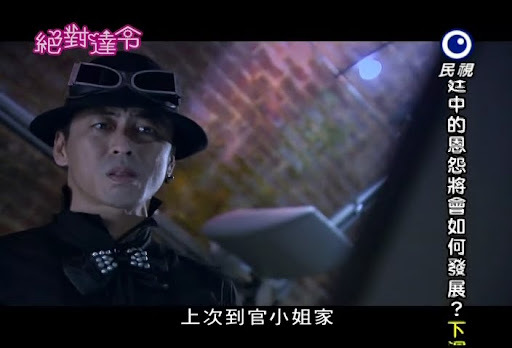 Baoqi promises to keep Night safe and never throw him out on the off chance they can find a way to fix him earlier. Zong Shi asks if Xiao Fei is all right and Xiao Fei replies even if she isn’t she won’t cry as that is the promise she made to Night, to not cry for more than an hour (and she already cried herself out the night before). We then learn that Night had 10 seconds left, so why did he go down early? This gives Xiao Fei hope. Can Night still here her? She goes over and tells him that he will be forever her perfect boyfriend. I do believe she also promises to be happy in the future. Do you think she will wait for him for 50 years? Or will she do as he wished and live her life full of love and happiness? Oh, and how great that Xiao Fei tells him she loves him in Korean? I actually would have liked it we could have heard GHS’s real voice in that moment. Zong Shi then wonders what happened during the last 10 seconds of Night’s life. We then get to see for ourselves. Night replayed his memories from being with Xiao Fei right up to the marriage. The images get more and more degraded and dim, and he ends on that one photograph of him and Xiao Fei before everything goes black and we have “end” pop up. And that’s it. And strangely enough, this ending was perfect. It wasn’t rushed and there was no weird time jumps and it really seemed to suit this version of the drama just as the Japanese version suited it’s ending of Riiko getting together with Asamoto after Night goes into his deep sleep. Thank god there was no huge focus on Zong Shi saving Night. 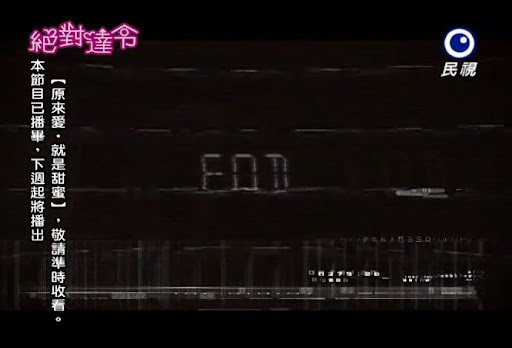 Thank god this did not give the disappointing ending that they gave Skip Beat! Granted, the manga hasn’t finished yet for that series, while this one at least was completed. I did wonder what happened with Sky and Zhi Xi. How does this get explained? We’ll never know. And this is how it is like the manga. Night cease to operate, but it is kind of like he’s in a permanent state of hibernation until the right technology comes along that can possibly fix him and allow him to have higher functions with his robot wiring. Rock on, Jiro. He was almost the sole reason I watched this series. I don’t think I’ve hated anything that he’s done to date and I shall remain forever his fan. I also would love to see more of Kun Da. I don’t think he’s done too many dramas since K.0. 3an Guo and after this series, I can’t wait to see even more of him. I’m also hoping to like GHS’s new drama as much as I did this one. Thanks for the recap. Poor night. Love jiro. Do you know what is the song background song used in the wedding scene? 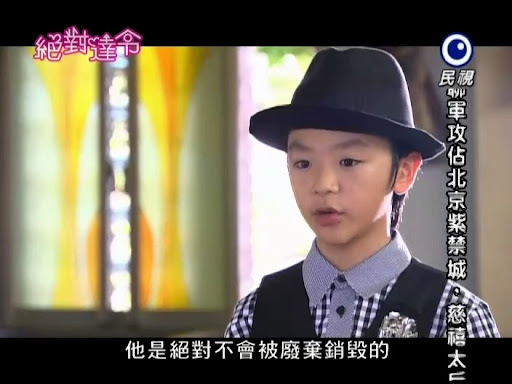 The song when Xiao Fei opened the door at the church? But you might want to check out “Ordinary Happiness” and “Virtual Love” just in case.